Dormancy is a process that begins when trees notice the temperatures getting colder and the light of day getting shorter. When the leaves of a tree go from green to yellow to red before finally falling off, the tree is essentially cutting off its food supply to the extremities. They begin the suspension of their metabolism and release a chemical to stop the growth of new cells. As the leaves lose their ability to stay healthy, they lose their supplies of chlorophyll, and thus their green colour. This suspension of growth is necessary because the trees are beginning the process of conserving their energy for a long winter’s nap. Without the leaves, they couldn’t create new energy anyway, but trees have adapted to the conditions that make creating their own energy through photosynthesis a futile venture. Instead of putting a strain on their water sources (leaves are a major source of moisture loss for trees), they slow down their metabolic processes and conserve enough water to last until spring. Once the tree is dormant, it doesn’t do much until the days get longer and spring returns. But it still has to survive the cold, and in Canada, the cold can be punishing. 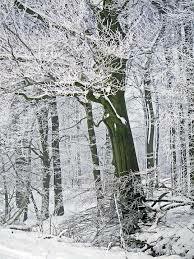 Trees adapt by slowly increasing their tolerance to the subzero temperatures as the temperatures begin to fall. Getting there is a pretty complicated process, but it works quite well: the cells of the tree force water outside of their walls; this water freezes first, and when it becomes a solid, it releases heat energy. This small amount of heat energy is enough to prevent the insides of the cells from freezing, letting them tolerate the cold. 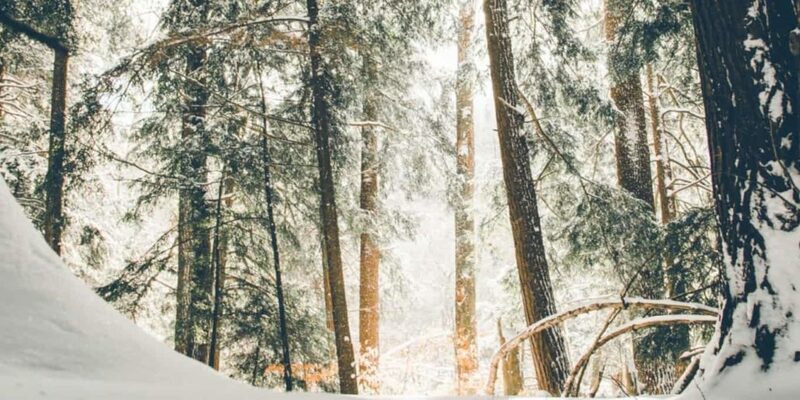 As you move north, winter can get too cold for too long, preventing deciduous trees from surviving at all. These areas are often defined by tree lines in the north, and at these points, coniferous trees take over. Their needles and cell walls are well-adapted to retaining more moisture and creating enough energy to stay “awake” all year. This isn’t to say all trees will survive the winter intact. If deciduous trees in your neighbourhood are thriving, that’s a pretty good sign the average temperature won’t get so low as to kill them. However, the winter conditions can seriously damage the trees, and not just from the winds and heavy loads of snow and ice. If your deciduous tree is directly in the sun, the bark and the wood below the surface can heat up despite the cold air temperature. The warming tissue will regain its ability to move liquids, becoming extremely vulnerable to the temperature once the sun sets. The bark’s temperature will suddenly drop, forming ice in the cells and causing them to burst. This can cause a condition known as sunscald, where tissue dies or, worse yet, explode! Either way, the body of the tree will lose structural integrity, making it vulnerable to wind and ice. 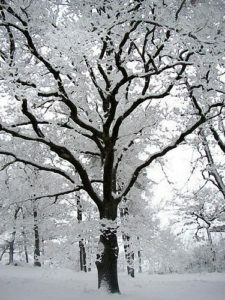 To prevent this, create a barrier that will insulate the tree from the sun’s rays all winter long. The barrier can be as simple as a burlap sack wrapped around the trunk, but you can go a step better with a winter wrap. This is a thin strip of white plastic wrap that goes around the trunk, and its colour reflects the sun and prevents the bark from heating up. Contact us today if you’d like to learn more!